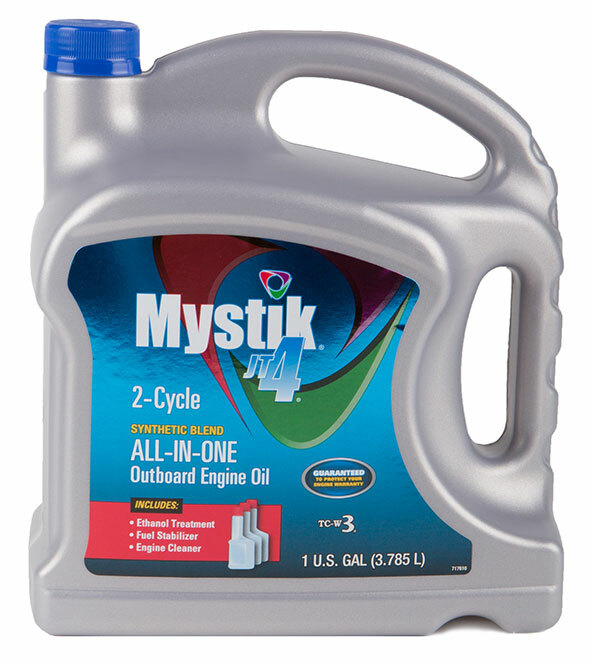 Mystik Lubricants is making it easier to get out on the water faster and longer with the introduction of a new outboard two-cycle engine oil. The new Mystik JT-4 ALL-IN-ONE engine oil is guaranteed to help protect original equipment manufacturer (OEM) engine warranties while taking the guesswork out of additive mix ratios. It also stabilizes fuel, helps prevent ethanol corrosion and cleans older marine engines, helping extend the life of the engine.